Listen to the ringing of cowbells or goatbells, breathe in the fresh mountain air, feel lush grass under your feet, gaze at the most beautiful valleys of the Catalan Pyrenees, and taste local cheese in our cottage. This is hiking with all five senses. Combining cheese and walking in Pallars Jussà. Two cheese walking trails give the visitor the opportunity to enjoy locally produced cheese while also enjoying Pallars’ beautiful glorious countryside at the same time. For each one of the excursions-stages, some plans have been prepared with the details of the route. A free GPS is also available to follow the routes through the corresponding tracks. In our house we will try different cheeses and we will make a showcooking to prepare a traditional dessert, fresh cheese with honey and nuts. – Xavier d’Or Blanc de Corroncui, our sheep cheese producer. – Albert de Puigcerver, our producer of organic goat cheese. Afternoon/evening arrival. Reception and welcoming dinner. 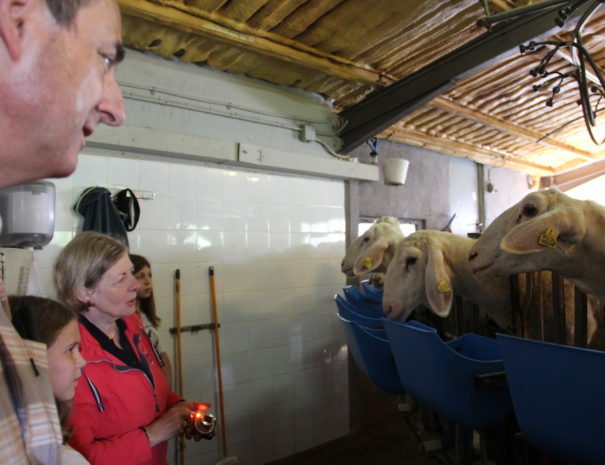 10:00 h Transfer by taxi to Corroncui where you can see the Or Blanc sheep farm. And you will know the products that transform outside the farm. 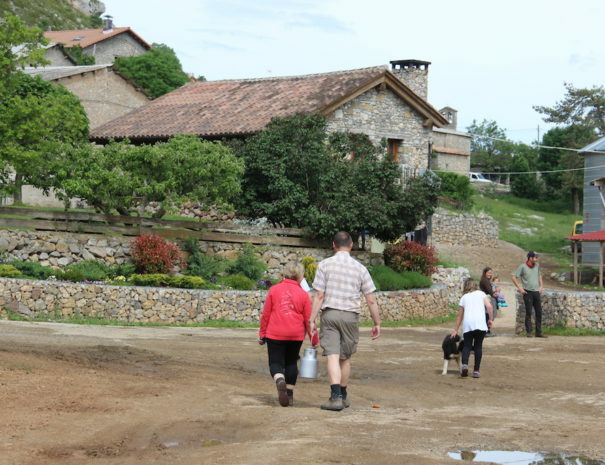 Once you visit the farm you will take old paths passing through the Casa Encantada, Cadolla, Naens to reach Senterada. 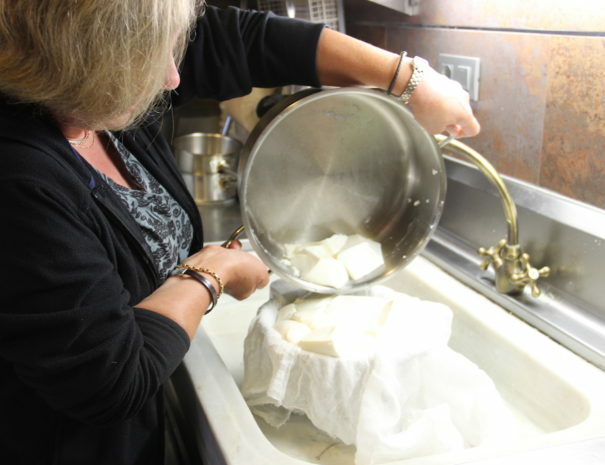 When you arrive at the cottage, you will make a milk processing workshop in a fresh cheese, which will delight you at dinner. Departure walking to Puigcerver where at 11:00 am you will visit the organic cheese farm of Puigcerver and where you can also see the workshop, and know their products made with organic goat’s milk. After visiting, you can visit the Montcortès lake to walk towards Senterada. And farewell. One of the best experiences of hiking and rural tourism. Are you ready? We wait for you.